One of the reasons that boilers are such a popular home heating option is that their great durability minimizes service needs. A big mistake that many homeowners make is thinking that this durability means that regular, professional maintenance is not necessary. This is not true. To ensure the efficient, effective heating service that boilers are known for, you must schedule routine maintenance service as with any other heating option. If you live in the Frederick, MD area, call the boiler maintenance and repair experts at Larry & Sons. We have been providing exceptional service throughout the area since 1960. Contact us today to see what a professional service provider with over 50 years of experience can do for you. Larry and Sons offers plumbing, heating and air conditioning services in Hagerstown, Frederick MD, and the tri–state area. While the boiler itself is basically a big tank filled with water, it is also part of a larger system. It is true that this large storage tank does not require much maintenance, but there are many other components of your boiler system that can suffer from the lack of professional care. The water in your boiler is heated by a burner powered by gas, oil or other combustible fuels. Any time a piece of machinery is consumes fuel in this manner it is necessary to ensure the safety of its operation by scheduling maintenance service with a qualified professional. The hot water or steam your boiler produces requires a piping system to circulate throughout your home. The heat from this liquid or steam also requires radiators or baseboards to disperse this heat. When you have pipes throughout your Hagerstown home carrying boiling water or steam within them you need to know that these pipes are not at risk of leaking or bursting. 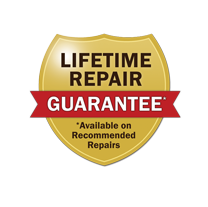 This is only possible by having them inspected, serviced and, if necessary, repaired or replaced by a professional. Don’t put your comfort, safety and the condition of your home at risk when operating your boiler. Contact Larry & Sons for boiler service in Hagerstown, and the surrounding areas. One of the greatest benefits that comes with regular boiler maintenance is that any small or developing problems with your system can be detected and resolved early on. Unfortunately this cannot always be the case, and eventually you will need to schedule some unexpected repair service with the Hagerstown boiler experts at Larry & Sons. Regular maintenance remains the best way to catch these problems before they can do damage to your system as well as keeping the cost and complexity of repairs to a minimum. There are ways in which you can help make your boiler repairs as painless as possible too, though. As a homeowner it is your responsibility to recognize and report any declines in performance or other incongruities with your boiler system. Keep your eyes and ears open. If you notice the development of cold spots or inconsistent heating throughout your home call for professional service; your boiler may be in need of repairs. The same should be done if you notice a rise in the costs of operating your boiler or even strange sounds and smells during operation. Help keep your boiler working efficiently and effectively by calling for maintenance and repair service today. Don’t wait for your boiler to break down to call Larry & Sons today. Let us help you keep your Frederick, MD home warm throughout the winter. Schedule maintenance and repair service today.